A stunning and vibrant landscape of a European bog painted in the later years of a masterful listed artist. Original gallery label on reverse provides the title of the piece, "La Fagne Blonde", roughly translated "The Golden Fen" (fen being a boggy place). 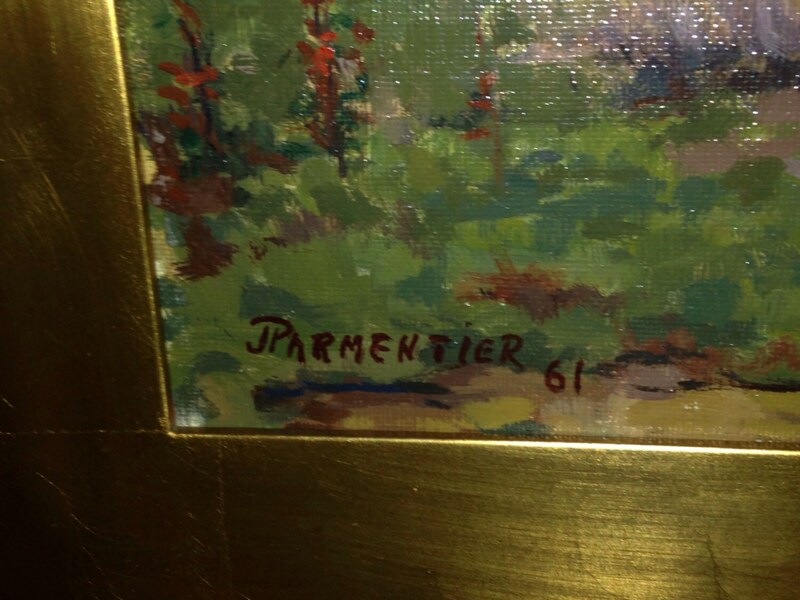 Signed Parmentier and 1961. Nicely framed with a linen inset. 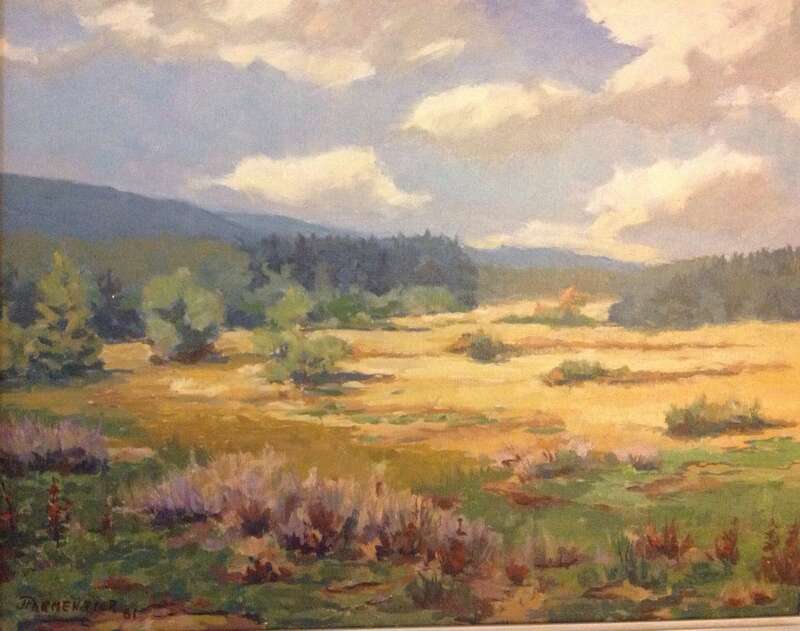 Large scale painting with dimensions of 27" x 35" in the frame (image size 17.5" x 21"). Acquired in New Orleans. Parmentier is part of the permanent collection of the Sincfala, Museum of Zwinstreek in Belgium. 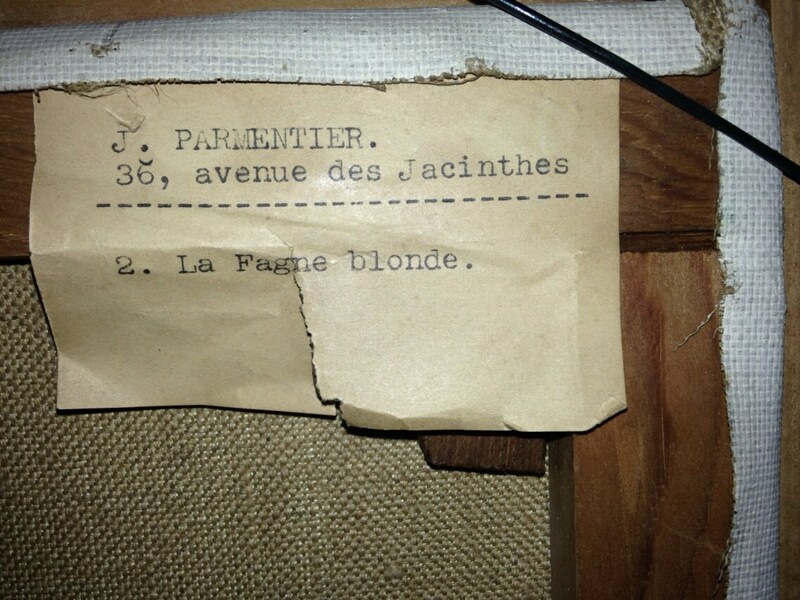 Jean Parmentier, son of famed artist, Paul Parmentier, was one of the artists who made up the Knokke Painter Colony. Following in his father's massive footsteps, he built his house in the dunes of the Flemish coast on the Knokke seaside. 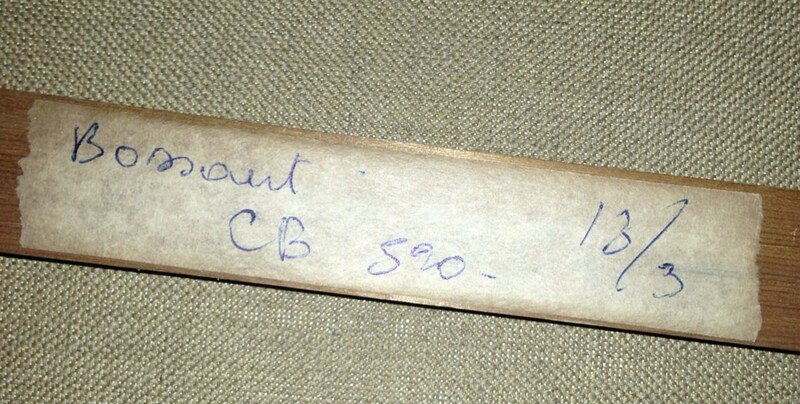 Jean spent a great deal of time in the studio of Ernest Blanc Garin in Brussels. 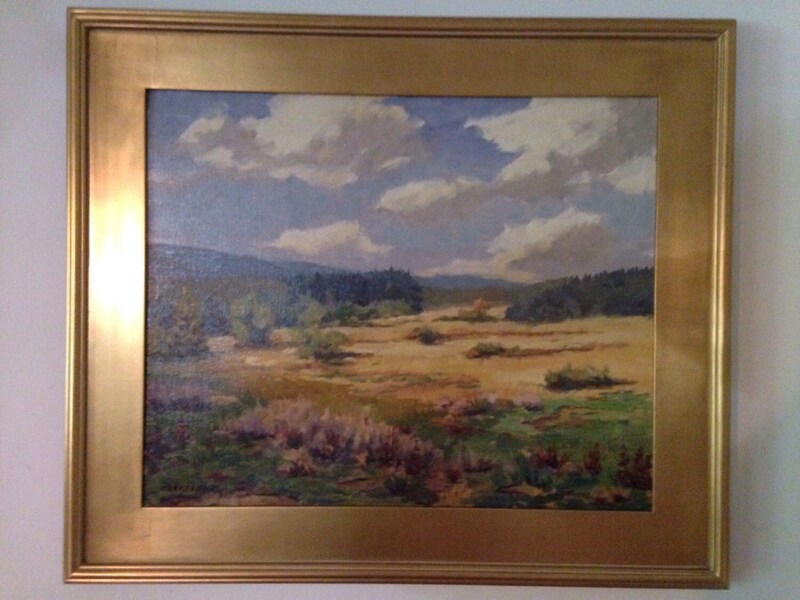 His subsequent meeting with the German impressionist Paul Baum influenced his work. Parmentier exhibited in 1928 at the Casino in order Labisse and in 1929 Brussels in Manteau, in 1942 in the Villa Roma in Knokke. He was a contemporary of Pierre Bayaux, Isidoor Boer Waard, Rene Depuw, Louis Gendebien, Georges Lebrun, Jose Renis, Albert Setola and Willem Van Hecke.